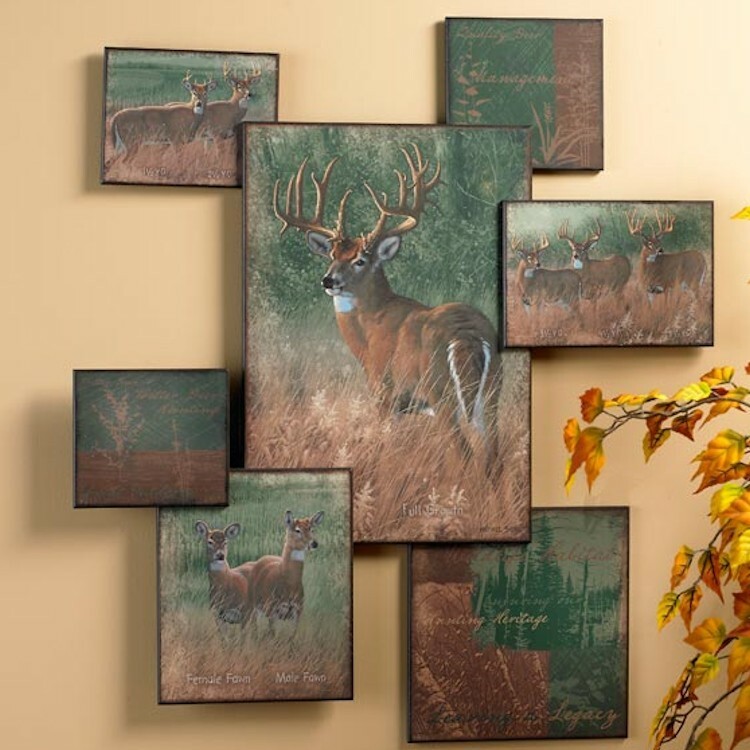 Inspired by Michael Sieve's original painting, this unique wall collage recreates the story of "Nature's Plan". Sieve personally observed this whitetail grow from a new fawn into a magnificent 16 point mature buck over several years. Inspired by Michael Sieve's original painting, this unique wall collage recreates the story of "Nature's Plan". Sieve personally observed this whitetail grow from a new fawn into a magnificent 16 point mature buck over several years. Individual images are mounted on 3/4" black finished wood backer. Nature's Plan Whitetail Deer Collage Wall Art will delight every nature lover in the house.